Kruger doesn’t see Dumbo as just an ordinary Disney character, but rather as a mythological character that he wishes was real. “I wish I could have been in the audience of that circus in the golden age of the circus and observe his story,” he said. 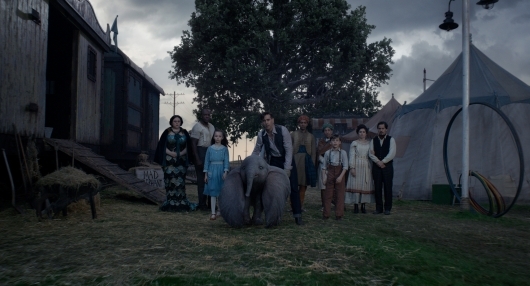 These themes helped them to create a “menagerie of human characters.” “The circus family around Dumbo who all in some way were wrestling with uncertainty about themselves and their place in the world and in fact the circus’ place in the world,” Kruger said. Of course, nods to the original comes with these new tellings. But it wasn’t hard for Kruger to find new ways to incorporate Casey Jr., the firefighting clowns, and pink elephants. In fact, those were just some of the things that he strongly associated with the film without having to refer back to the 1941 original. But for Kruger, he wanted to get to the “core things” that he associated with Dumbo, and “simple things” that he associated with the story. And he found himself asking if these things had to be in the film.